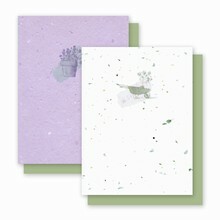 A truly unique concept of communication in this world of e-mail and texting: convey a message inside a seed card made on wildflower seed embedded paper. 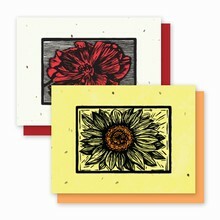 Plant the cards and they will grow wildflowers. 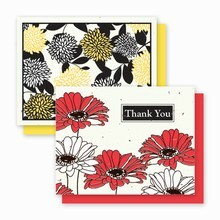 Send a bouquet of flowers for only 44 cents (the price of first class postage)! 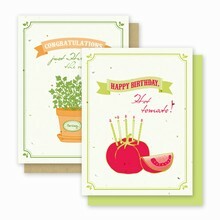 Our Grow-A-Note plant able greeting cards are sure to express a multitude of sentiments and have a significant impact on the recipient. Easy planting instructions appear on the back of each card, along with the seed content. 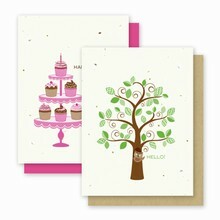 Each handmade seed card will recycle naturally into the soil as the seedlings grow. 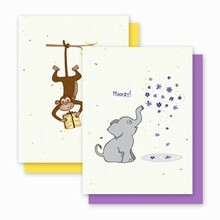 The seed cards are blank inside for you to personalize and each one comes with a complementing recycled envelope. 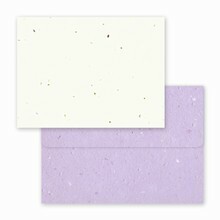 See Green Field Paper Company for hemp paper, denim paper, and all your eco-friendly products. 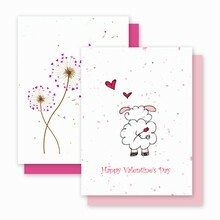 A gift unto itself... 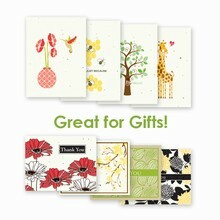 Send a bouquet of flowers with every card for the price of a 44 cent stamp. Variety... 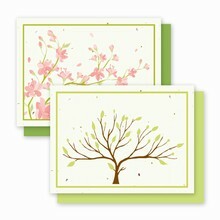 Choose from our many collections of plantable Grow-a-Note® cards which offer a vast selection of styles and occasions including thank you notes. 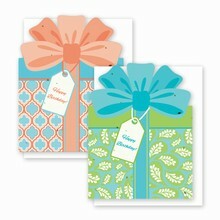 Size... Each card measures either 4.5" x 6" or 4.25" x 5.5" folded and includes a color coordinating envelope.